With the location and date of the forthcoming summit between President Donald Trump and Kim Jong‑un now fixed, speculation has turned to what sort of agreement might be achievable. US National Security Advisor John Bolton recently suggested  that the ‘Libyan model’ of nuclear disarmament—from 2003–2004—might offer a framework that could be applied to North Korea in 2018. 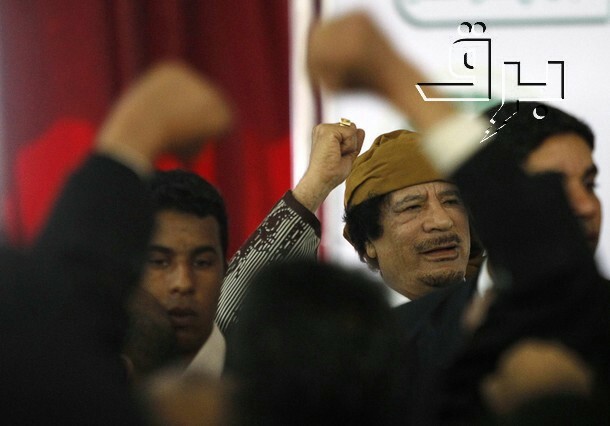 The suggestion received what might kindly be called a mixed reception, not least because the North Koreans believe  that Muammar al-Qaddafi was a fool to abandon his nuclear program. Still, I’d like to explore the Libyan case here because it offers one of the few examples of ‘denuclearisation’ that we have. True, the two cases are markedly dissimilar: Libya, unlike North Korea, had made relatively little progress towards nuclear weapons when its leadership took the strategic decision to abandon the program. The Libyans had no nuclear weapons. Yes, they had a small number of centrifuges—some still in their original packing—and a quantity of uranium hexafluoride (the feedstock for a centrifuge enrichment cascade). More ominously, they had a nuclear weapon design, apparently obtained from the A.Q. Khan network—although some Libyans claimed that the design was a ‘bonus’ intended as a reward for their other purchases. But when US officials appeared before the US Senate Foreign Relations Committee in early 2004 to talk about the disarmament effort , senators were at least as interested in the detailed picture of the nuclear black market that the Libyan program revealed as they were in the program itself. While a raft of fascinating material about the program had suddenly spilled forth, it was the procurement trail, stretching from Libya to Pakistan and Malaysia, that the committee chairman, Senator Richard Lugar, referred to as ‘the treasure trove’. While North Korea’s current indigenous capabilities are far stronger than Libya’s were 15 years ago, one suspects there would be similar interest in Washington today about Pyongyang’s proliferation links. The Libyans said, ‘We are no longer going to have a nuclear weapons program.’ They invited the United States and the United Kingdom in. They gave the United States and the United Kingdom access to all facilities that we requested to see. They were willing to permit any tests that we wanted to conduct. They were willing to have their centrifuge program removed … They have been very forthcoming. In the chemical weapons area, we assisted them in drafting their declaration to the OPCW [Organization for the Prohibition of Chemical Weapons]. They had the OPCW technical secretariat come in. On one occasion they said, ‘You know, we really hadn’t told the others that came before, but there are some other munitions we need to show you.’ They took us to a facility that we almost certainly would not have been able to identify independently and showed us the unfilled munitions there. That is transparency. That is the kind of access that we are given when a country has made a strategic commitment. They volunteer information. It was because of that variability that the Americans wanted to relocate key parts of the WMD program quickly. The most proliferation-sensitive parts of the program—equipment and documents—were airlifted to the Oak Ridge National Laboratory in Tennessee. The nuclear weapon design documents, revealed to the Americans on 20 January, were flown out of the country two days later. During the night of 25–26 January 2004, an American C-17, its insignia painted over, landed at an air base near Tripoli, loaded its cargo—including advanced centrifuge rotors, five Scud‑C missile guidance sets and two tons of uranium hexafluoride—and took off again. Later, in March 2004, another 1,000 tons of materials and equipment were loaded aboard a US ship, the Industrial Challenger, its insignia again painted over, and taken to America. Is that what President Trump is going to propose to Kim Jong‑un? Media sources  say that the US has asked North Korea to ‘discard’ the data from its nuclear weapon development program and allow its nuclear scientists to emigrate. Of course, the manner—and direction—in which that data might be discarded is a non-trivial issue. And emigration would, of course, be a humane solution to an intractable problem: that even after the weapons are gone and the data has been discarded, the knowledge of how to make nuclear weapons and their delivery vehicles will still exist in the minds of North Korea’s scientists. I don’t imagine, though, that Washington wants those scientists heading to the Middle East. Russia and China might be acceptable destinations. People say that Tennessee is nice this time of year. As was the case with the Libyan deal, the US is also arguing that this is an opportunity for North Korea to abandon not merely its nuclear program, but all of its WMD. Still, nuclear weapons and ballistic missiles seem likely to be the core of any deal. On ballistic missiles, a key US objective in 2003–2004 was to ensure that Libya’s missile program was compliant with the thresholds set out in the Missile Technology Control Regime—namely, that its missiles were limited in their range to a maximum of 300 kilometres and in their payload to a maximum of 500 kilograms. In short, the Libyan model sets high standards in relation to the exposure of proliferation linkages; provision of access to sites, personnel and materials; relocation of key items; and acceptance of international standards on WMD. Can an agreement with Pyongyang meet those standards? Frankly, it seems unlikely. The Libyan model, after all, had one driver that might not be equally compelling in the North Korean case: the strategic commitment by the leadership to put aside WMD. Because of that commitment, the model unfolded quickly and the verification hurdles proved surmountable. A similar level of strategic commitment on Kim Jong‑un’s part is what the Americans are hoping to find in Singapore on 12 June. The Trump administration is certainly signalling  that this is their desired approach. Rod Lyon is a senior fellow at ASPI. Image courtesy BRQ Network via Flickr.